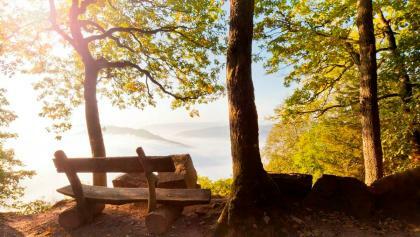 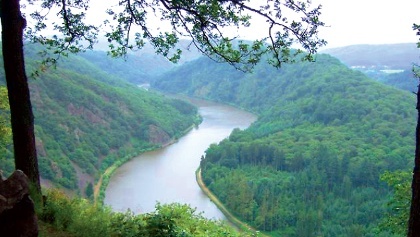 The Saarschleife is one of the most famous excursion destinations in Saarland. 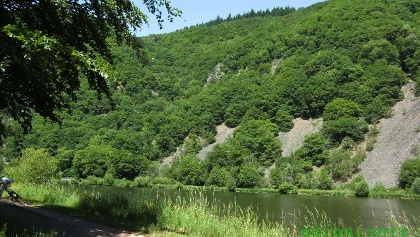 Here the Saar has dug its way through the rock in an impressive bend. 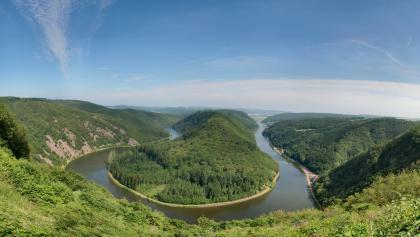 The entire Saar loop, the steep crash slope and the gentle sliding slope are clearly visible from the popular viewpoint Cloef. 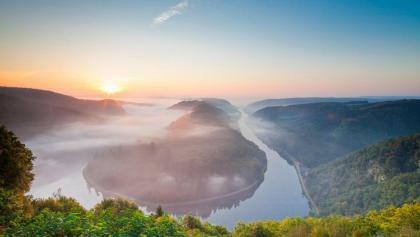 by Thomas Martin Jutzy, Pfälzerwald-Verein e.V.